If you are going to the gym and wandering aimlessly from machine to machine or exercise to exercise with no purpose, no focus, and no structure, then you are most likely NOT getting the full benefits of weight training. If you go to the gym just to burn calories or to work up a good sweat, then you’re most likely not getting the full benefits of weight training. For the best results, you need to be following a structured workout plan. Everything you do in the gym should have a purpose-just picking random exercises ain’t gonna cut it. 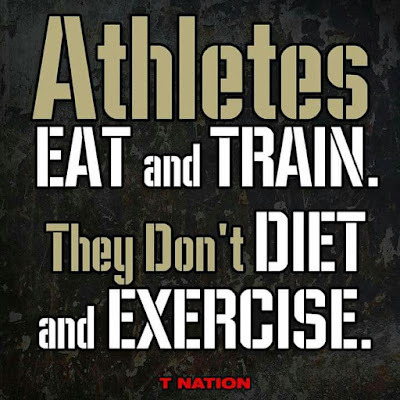 You want to think of your workouts in the gym as training, not just exercising. 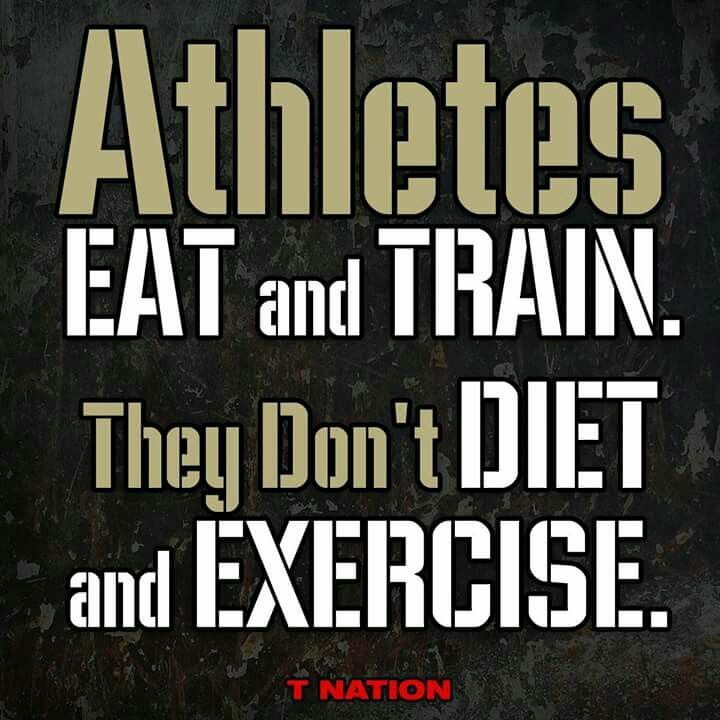 Training has a purpose and goals, exercise doesn’t. Exercise is just moving your body around, training is moving your body with intention. Anyone who has an admirable physique has most likely spent years following a structured, well thought-out plan, not just “winging” it. If you’ve never tracked your rest periods in the gym, you’re missing out on getting the full benefits of weight training. Resting too long or sometimes not long enough can hinder your results. I see too many people wasting precious time between sets talking or texting and letting the muscles rest much longer than what is necessary. For the big, heavy lifts like squats and deadlifts, yes, you need long rest periods, sometimes up to 5 minutes, so that you can be fully recovered for your next set. However, for the rest of your lifts, 60-90 seconds is all you need, especially if muscle building is your goal. So stop lolligagging and get focused. People often get stuck in one repetition range and never veer from that. For women, it’s often the 12-15 range. For some, it’s 3 sets of 10. And then there are the people(mostly men) who go in to the gym and max out on everything all the time. Whatever it may be, if you stay in the same rep range for every single exercises ALL the time, you are limiting the results you could be getting. If you never train heavy for lower reps and are always just going for the “burn” or the “pump”, then you are missing out on getting the results you could be from lifting heavier for lower reps. Conversely, if you’re always lifting crazy heavy or maxing out with low reps all the time, you’re probably going to get injured, for one, and for another, you’re not going to get the hypertrophy benefits you could be getting from training in higher rep ranges. The best thing is to go through phases or to incorporate a variety of rep ranges into your routine. 4. Trying to “shock” the muscles. The concept of having to shock the muscles is a myth and completely NOT required for getting results. Muscles respond to stress, not “confusion”.The way to get the muscles to grow and get stronger is to provide them with a progressively more challenging stimulus over time(adding weight or reps as you get stronger). You can stick with the basic exercises and continue seeing results as long as you go into the gym and try to improve in some way each time. Focus on getting stronger, not trying to shock or confuse your muscles, and you’ll get results. Keeping a training log is crucial if you want to keep making long term gains in muscle and strength. The key to transforming your physique is to always be striving to improve in some way and get stronger over time, and a workout log will help you do that. If you don’t keep a log where you track your weights, repetitions, rest times, how you felt that day, etc., then it’s going to be hard to remember what you did from week to week so that you can try beat it and set personal records. It’s also fun to be able to look back and see how you’ve progressed and improved over the years. I can always spot a serious lifter when I see someone carrying around a notebook in the gym! Coincidentally, they are also usually the ones that I can see who’s physique’s are transforming as well. Some people just can’t be consistent on one program long enough to actually get results from it. Everyone expects instant results, so they try one program for a couple of weeks, get bored or think it’s not “working”, and then go to the next one. They’re always in search for the “best” workout routine. Well, that is definitely one way NOT to get results. See, there is no BEST workout routine. You just need to be consistent, work hard, and stick it out with a program for longer than a few weeks. And be patient-it can sometimes take months to make progress! 7. Not utilizing the concept of progressive overload. To continue growing and changing, the body needs to be constantly challenged or it will adapt to what you’re doing. You can’t expect to get results when you’re always using the same weights over and over again. As I mentioned above, each time you go in to the gym, you should be striving to improve in some way, whether it’s adding weight, doing an extra rep or set, taking less rest, slowing down the movement, or using better form. Push yourself a little more each week in some way! 8. Focusing on weight over form. Although progressive overload is the key to getting results in the gym, you never want to sacrifice form for the sake of adding more weight. You will get MUCH better results with good form than with sloppy form. Plus, getting injured is definitely going to set you back and hinder you from making forward progress. So push hard and challenge yourself, but always think LONG term-you want to be able to still be in the gym when you’re 80! 9. Going through the motions. Many people make the mistake of not focusing when they’re lifting, or not putting the “mind in the muscle”. 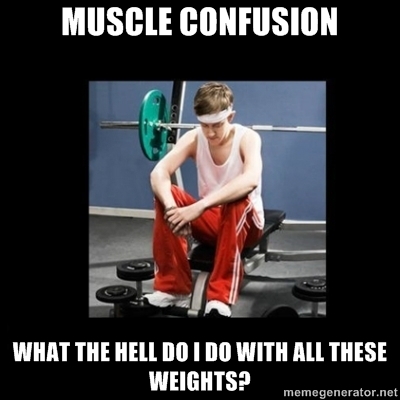 When you lift, you shouldn’t be just going through the motions, or just moving the weights around. You should be thinking about the muscles you’re working; you should be focusing-focusing on your form, on your breathing, on bracing the abs, and creating full body tension. You can make any exercise harder just by doing those small things. 10. Just trying to “tone” instead of build. This is mostly a problem women have-many of them still have such a fear of growing muscle, not realizing that to “tone”, you actually DO have to BUILD muscle. You can’t tone what isn’t there! Muscle tone is simply the result of having a low body fat percentage and muscle mass. 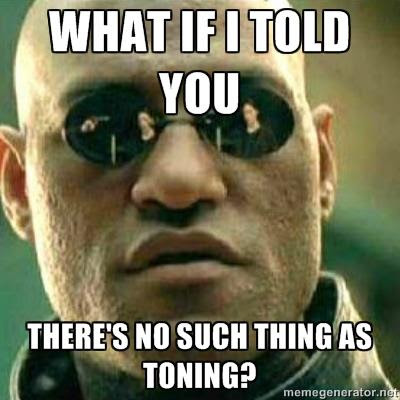 Trying to just “tone” your muscles but not grow them is going to get you nowhere-it’s not possible. Women would get much better results if they went into the gym with the intention of BUILDING…and building muscle ain’t no walk in the park! It is hard work and takes years and years of training and lifting heavy. 11. Training like a bodybuilder. Too many people in the gym, especially men, are doing workouts they find in magazines from gassed up bodybuilders. The average person does NOT need to be training like that. Most people will be better off training each muscle group more frequently with a full body or upper/lower split, than doing a 5 or 6 day body part split. 12. Trying to “kill” yourself with your workouts. The point of working out is to make you better, NOT to run you down. The goal of your workouts should not be to kill yourself, or to train to the point of utter exhaustion and fatigue. Yes, you should work hard and push yourself, but going to the point of puking or collapsing on the floor in a pool of sweat is absolutely NOT necessary. Posted on December 27, 2017 Author Lindsay CappotelliLeave a comment on Are You Making These Gym Mistakes?